The spending bill that passed the House on Saturday included language to prevent the FCC from using funds to implement its controversial net neutrality rules, which it passed in December over strong objections from Republicans. In testimony before the Committee on the Judiciary Subcommittee on Intellectual Property, Competition and the Internet Laurence Brett Glass owner and founder of Lariat, a wireless Internet service provider in Wyoming, makes a compelling argument for repealing the FCC net neutrality rules. Firstly, the rules address prospective harms rather than any actual problem. Contrary to what some advocates of regulation say, ISPs have never censored legal third-party Internet content. Customers would quickly move to competitors if they dared to try. Secondly, even before the rules were issued, the Commission’s NPRM created uncertainty, which, in turn, drove away investors. The final rules are vague, permitting “reasonable network management” but not fully defining what the word “reasonable” means. “My own company, which is much smaller than Metro PCS, could suffer a similar fate. Our most popular residential service plan comes with a minor restriction: it does not allow the operation of servers. Mr. Chairman, most Internet users would not know what a server was if it bit them, and have no problem uploading content to a Web site such as YouTube for distribution. Business customers that do need to operate servers can obtain that capability by paying a bit more to cover the additional cost of expensive rural bandwidth. But if the rules take effect and the FCC decides against Metro PCS, we’ll almost certainly be forced to shift everyone to the more expensive plan. We will therefore be less competitive and offer less value to consumers. Today, the Commission is choosing to ignore the recent past as it attempts the same act. In so doing, the FCC is not only defying a court, but it is circumventing the will of a large, bipartisan majority of Congress as well. More than 300 Members have warned the agency against exceeding its legal authority. The FCC is not Congress. We cannot make laws. Legislating is the sole domain of the directly elected representatives of the American people. Yet the majority is determined to ignore the growing chorus of voices emanating from Capitol Hill in what appears to some as an obsessive quest to regulate at all costs. Some are saying that, instead of acting as a “cop on the beat,” the FCC looks more like a regulatory vigilante. Moreover, the agency is further angering Congress by ignoring increasing calls for a cessation of its actions and choosing, instead, to move ahead just as Members leave town. 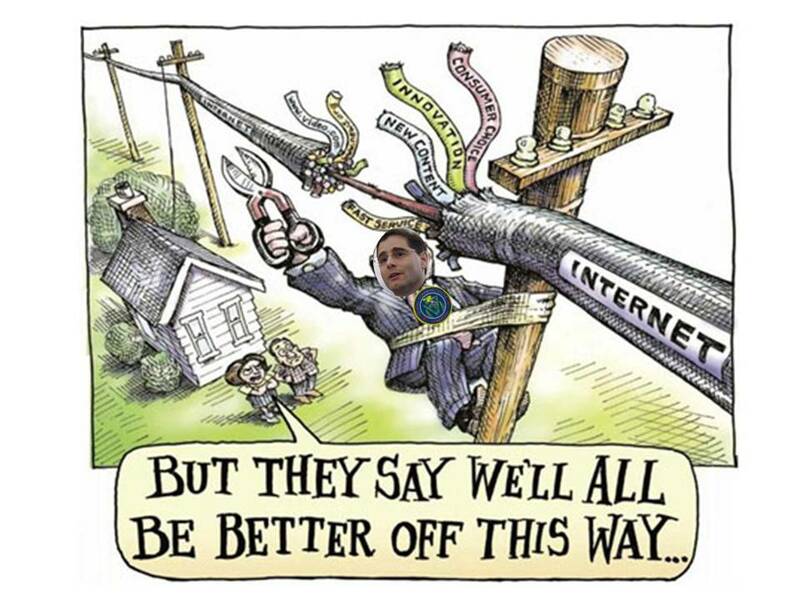 As a result, the FCC has provocatively charted a collision course with the legislative branch.